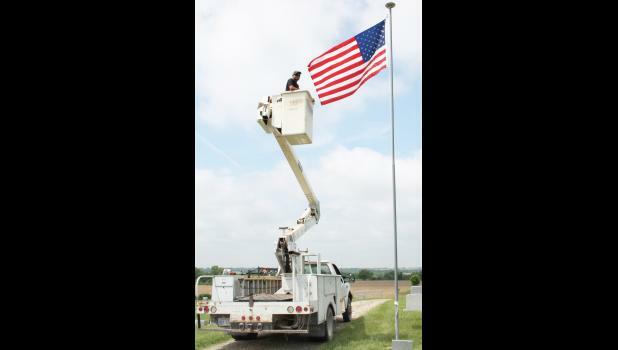 Lane Lassister of Mick’s Tree Service is shown above after installing a solar light atop a flag pole at Hoyt Cemetery recently. The solar light was recently purchased for the cemetery, and Mick’s Tree Service volunteered its time and equipment to install the light at Hoyt Cemetery and St. Joseph Cemetery. On Monday, several American Legion and VFW Posts will be conducting services in cemeteries throughout the county.